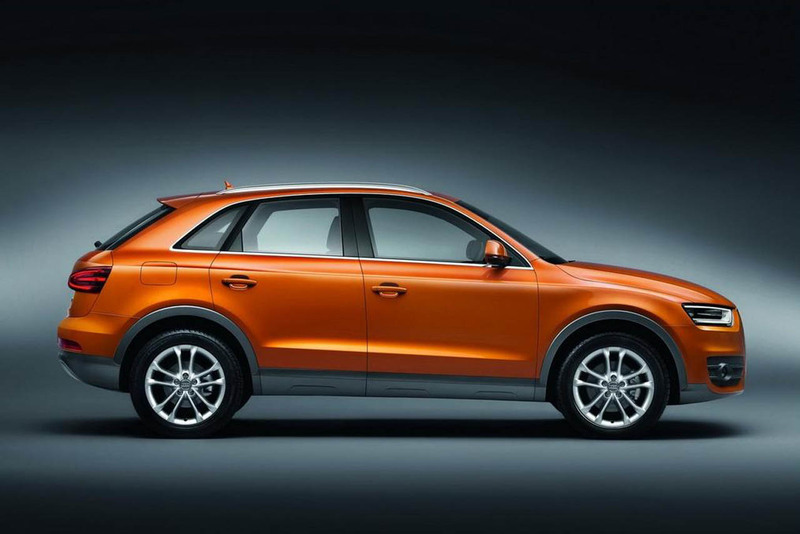 If you are looking for a cheap car and yet brand new with a brand name, then it has to be Audi Q3S. This car is considered to be the cheapest car ever released and manufactured by the automakers of Audi. It is featured with a pokey diesel engine and has an efficient gear box to brag about. Many car experts consider this car to be pretty impressing with its rich features and a low price tag. Recently, a number of automakers like BMW and Mercedes have launched several outstanding and luxurious car models. Some might be in the conception that Audi is falling behind with them. However, this fact is not at all true. The present mantra of Audi is to provide better in a small package than lesser, in big budget. They planned accordingly and presented Q3 SUV is a new avatar and refurbished package. Let us now look into the details of the vehicle and what kind of changes to the car parts has been made by Audi after the remodeling. The Exterior design is more or less similar to its previous sibling. The car is now equipped with a twin barrel of blacked out halogen headlights. The lighting system if further furnished with parking light module and well crafted indicator system. However, it does lack the daytime running headlamps of the previous model. The car even lacks some of the most sought after features of the old Q3 SUV, which are projector headlights. Let us discuss briefly upon the Q3 headlights for those people who are not well aware of these lighting systems. The halo projects always ensure to give and provide the best visibility range to drivers. Along with being good in looks, they are also excellent in performance. These lights are pretty easy to install and hardly take time for completing the whole installation process. You don’t require using a number of advances tools for installing them in your Audi SUV. Simple process tools are enough to do the job. The headlights are stylish and blaze with light. Many people expected to see projector lights in the Audi Q3S since the price is low and also due to the fact that the headlights are not so good with the latest model. The tail lamps also lack the classy look of other Audi headlights. However, the experts have said that the lights located around the brim have interesting details with more character and features. Other than the headlamps, the car definitely looks luxurious in looks. The matte black cladding is pretty amazing. There are also many other features such as silver pieces of trim carefully placed over the rear and front bumper. The red body of the SUV is outstanding, and the look has been further enhanced with seventeen inch split spoke wheels. The car has been launched in many south Asian countries and will probably make a good market in the coming year. The general public will find the car pretty amazing at such a low price for a standard Audi vehicle. Summary: Audi has launched a new SUV model, which is cheap in price. The car is pretty awesome and is full of features compared to its price. Author’s Bio: Joana Hall is a proficient writer. He or She writes Projector Headlights and the advantages and features that make them special. Her writings always contain authentic information.